"Grand Master Tung Sheng Ch'ang was born in 1908, the year of the Monkey, in Hopei Province in the northeastern section of China, long known for the great martial artists produced there. Of all the masters coming form this region over the past 2,000 years, one of the most pre-eminent is the legendary Grandmaster Tung Sheng Ch'ang, perhaps the greatest fighter in the last 300 years irrespective of style and certainly the most tested and proven one in this century. "Grandmaster Ch'ang started serious training in Kung-Fu in 1915 when he was 7 years old. 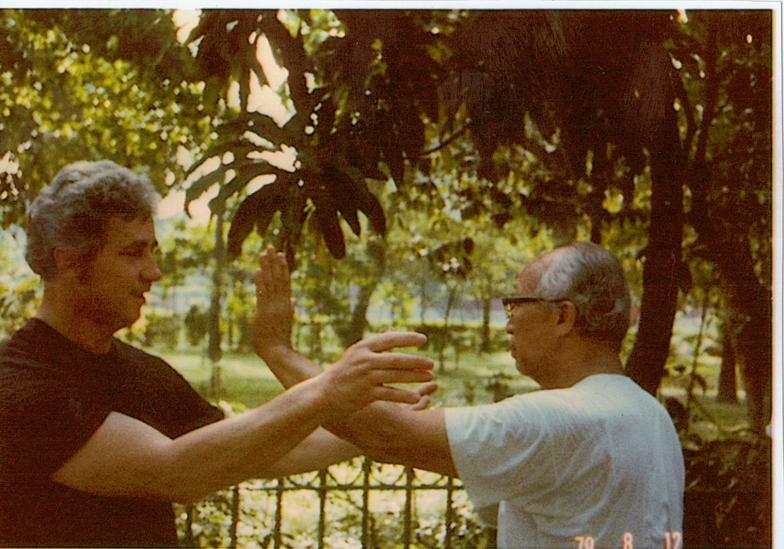 He learned the basics from his father and grandfather, but later, his teacher was the famous Master Chang Feng-Yen who was well know as the foremost expert in Pao-Ting Shuai-Chiao, the fastest and most powerful of the three main branches of the ancient art. 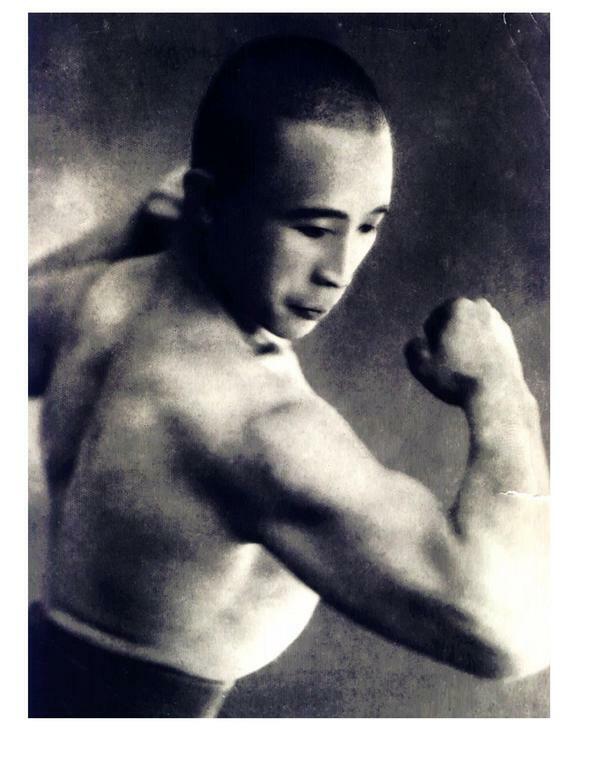 Chang Feng-Yen was the top disciple of Ping Jing-Yee who, like Grandmaster Ch'ang, was a legend in his own time. 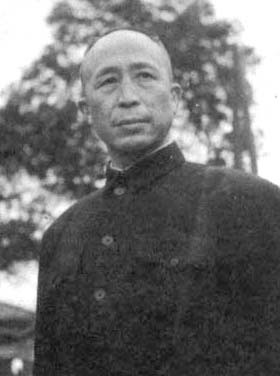 General Ma, the first of the great masters to compile ancient Shuai Chiao techniques for publication, was another prestigious student of Ping Jing-Yee.
. In a phrase, if it wasn't practiced there, it probably wasn't worth much. Once again, Grandmaster Ch'ang's compatibility's were such that after 5 years of training with the best students in all China, he emerged at the head of the program and became a teacher of the Shuai Chiao Department, having also mastered the styles of Hsing Yi, Lo Han, Tai Chi, Pa Kua, and most elements of Shaolin in addition to his own. "At one point, he went to challenge the Mongolian champion at their annual meet in Chang-Chia-Kua. In doing so, he had to fight the well know Hukli, a giant of a man standing well over six feet tall and weighing almost 400 pounds! 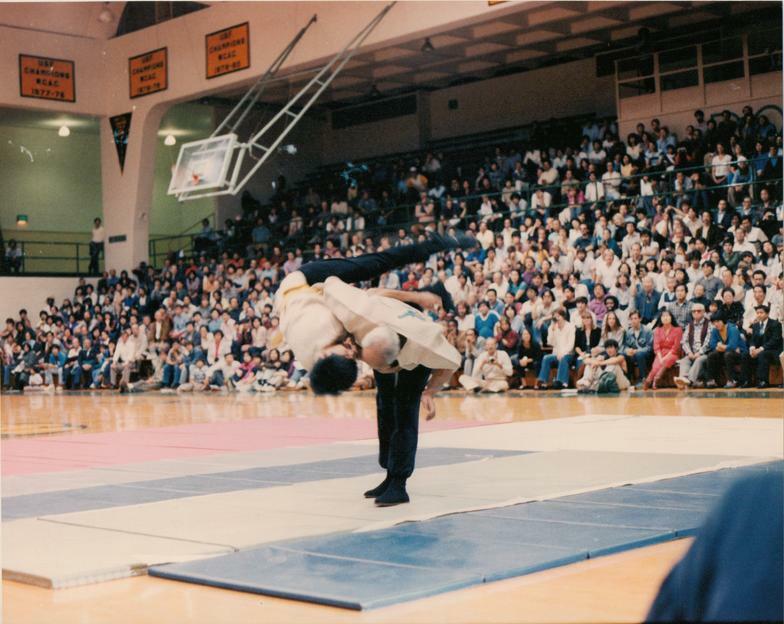 "Grandmaster Ch'ang agreed to use only wrestling techniques, and despite the difference in size, repeatedly countered dozens of attacks by the Mongolian champion while throwing him down again and again with a variety of beautifully executed moves. on that scale were never held again, leaving Grandmaster Ch'ang the last truly tested fighter open to challenge by anyone regardless of style or system! "Both before and after his brilliant victory in the national tournament, Grandmaster Ch'ang traveled frequently. His intent was to seek out different teachers all over mainland China that were known to be famous for certain techniques or movements. It has been said that he studied with most of the best living masters, humbly playing the role of student even though he could defeat them. He continued this quest until he learned the specialties of the 70 different teachers and was satisfied that the techniques he know were the best in existence. "During World War II, Grandmaster Ch'ang trained elite units of the military where he eventually rose to the rank of Lt. General. His exploits during this time are a story alone and would take a book to recount. Just one aspect of his many experiences involved challenging all of the top Judo experts at the Kuang-Si Province prison camp. Over a thousand prisoners were interned there and amused themselves by practicing Judo all day long. After challenging and beating the Chinese guards, they were confronted by Grandmaster Ch'ang who had heard of the prowess while teaching in Kue-Lin, the capital of Kuang-Si Province. Grandmaster Ch'ang fought every one in turn, including three high-ranking champions, Hakayama Taido, Hisa Kuma, and Hichi Masao, and defeated each of them handily. "Having won two national tournaments and proven himself countless times in matches, both friendly and otherwise, Grandmaster Ch'ang went on to teach at the Central Police Academy in Taipei for nearly 30 years. During that time he was also Chief Official for all of the national tournaments on Taiwan and Shuai Chiao advisor for the military, police, and the educational system. Though many Kung-Fu styles are taught in Taiwan, none have the prestige of Shuai Chiao. The Taiwan Shuai Chiao Association boasts over 30,000 members, which makes it the largest Chinese martial arts organization in the world! "In April, 1975, Grandmaster Ch'ang, then 68 years old, was invited to Morocco to give an exhibition of the Chinese arts to the King (Grandmaster Ch'ang's faith was Islam). During his visits, a 4th degree Tae Kwon Do instructor in service to the King as head of his personal bodyguards challenged Ch'ang and Ch'ang accepted. The match lasted only seconds as Grandmaster Ch'ang deftly dodged the attack of the Korean and knocked him unconscious with a slap of the hand! Obviously, the years had not diminished the physical power and skills acquired from being trained by masters from the previous century, the likes of which now exist only in a small handful of very old men. 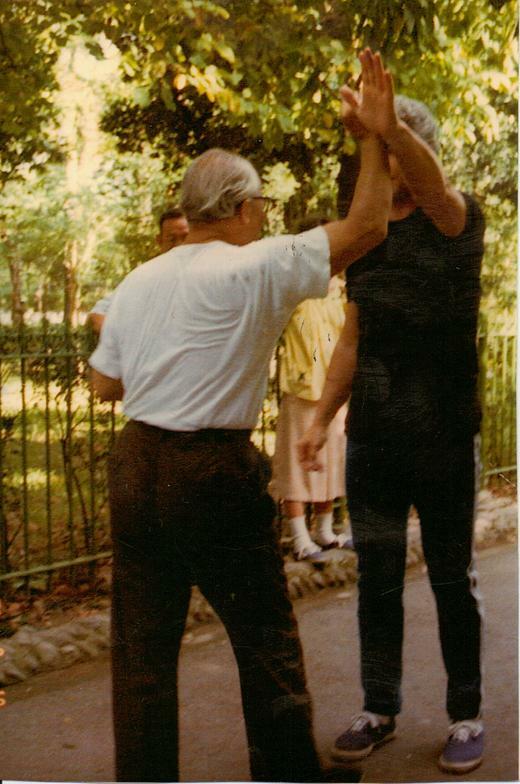 "In February 1982, the Grandmaster organized the International Shuai Chiao Association and spent much of the time promoting his art by traveling throughout the world giving demonstrations, workshops, and seminars. 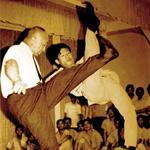 In June, 1986, at the age of 78, the martial arts world was saddened by his untimely death. "The extent to which Grandmaster Ch'ang was respected, revered, and feared by the Chinese martial arts community is incalculable. He was literally regarded as a national treasure by Taiwan and was the only Master to be granted Red, White, and Blue Belt, the national colors of Taiwan. The belt was buried with him and will never be awarded again. Since the knowledge and the caliber of men needed to train someone as Grandmaster Ch'ang was trained no longer even exist, the 10 Degree was retired upon his death. Ten years later the belt was rewarded to Grandmaster Gene Chicoine in 1996 at the national remembrance of Grandmaster Ch'ang. Some say that as much at 60% of all Kung-Fu knowledge that existed in the earlier years of this century went to the grave with Grandmaster Ch'ang! "In perhaps all of Chinese martial arts history, no one ever went totally undefeated for well over half a century, certainly not if they accepted any and all challenges as Grandmaster Ch'ang did! Indeed, he was not only just one of a kind, but unfortunately for all of us, Grandmaster Tung Sheng Ch'ang was one the likes of which will never be seen again. Amid all of the competing and conflicting claims made by latter-day teachers as to whose styles or system is superior, no one except the disciples of Grandmaster Ch'ang can state that their teacher defeated the teachers from all styles at a time in history when the deciding factor in victory was who walked away! 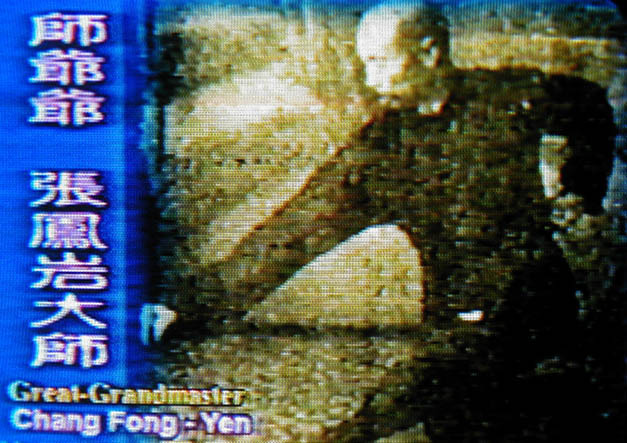 "Master Chicoine, who was chosen by Grandmaster Ch'ang to lead the Shuai-Chiao family into the 21st century, was taught 72 techniques, a combination of blocks and strikes before the throw was affected. He was commissioned to teach these techniques to the entire Shuai-Chiao practitioner, 12 of which were for killing only, so that Shuai Chiao would remain the most feared combat style and always be impossible to defeat in real fighting. Here again in victory, Shuai Chiao will be the ones who walk away."